Just got my GI Metro t-shirt today. Woot! 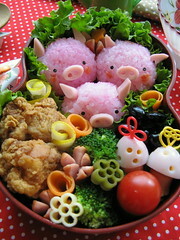 A more practical but no less fun take on bento: Just Bento.